Smacking is not an acceptable form of punishment. You may have heard the old expression, “Spare the rod spoil the child;” but here’s the thing: There is no truth to that saying. I don’t smack my children. I don’t believe in smacking children to discipline them, and I NEVER recommend smacking as a method of discipline to the parents whose children I treat as a paediatrician. I am aware that not all child experts agree with me; however, my advice to parents is to avoid physical punishment in all situations. Let’s explore why. 1. Smacking is not an effective discipline strategy. When a child acts out, and is disciplined by smacking, the bad behaviour may stop right then, but the child will likely act out in the same way again, since smacking does not teach him how to act appropriately. In fact, the negative reinforcement provided by smacking may actually make his behaviour worse. Rather than smack your child for attempting to cross the street without you, for example, stop him and tell him that he needs to hold your hand. If your child stops and holds your hand the next time you need to cross the street, praise him. Try saying, “I’m so proud of you for holding my hand. You did a really great job of being safe!” Praise and positive reinforcement are very strong motivators. 2. Smacking does not teach children how to deal well with conflict. In fact, studies show that children who are hit are more likely to hit other children when conflicts arise. Since conflict is a natural part of life (from the playground as children to work as adults), it’s important to teach kids early on how to resolve conflicts without hitting others. By disciplining your child in a way that isn’t physical, you are reinforcing that lesson and modelling a better way to solve disputes. 3. Long-term spanking has negative effects on children. Multiple studies have found that physical punishment increases the risk of negative developmental outcomes, such as learning delays, psychological disorders, and somatic disorders. 4. The American Academy of Paediatrics strongly opposes spanking. The AAP’s official statement on smacking is pretty clear: “Spanking is never recommended; infants may be physically harmed by a parent who strikes a child.” They add that “corporal punishment is of limited effectiveness and has potentially deleterious side effects,” and recommend that “parents be encouraged and assisted in the development of methods other than smacking for managing undesired behaviour.” In simple terms: Find alternatives to physical punishment when you need to discipline your child. 5. Smacking your children can instill feelings of shame in them, because it’s embarrassing. Additionally, some studies have linked physical punishment to increases in mood disorders, anxiety disorders, aggressive behaviours, and substance abuse. My advice to parents is to avoid smacking, and any other type of physical punishment, in all situations. Aside from the potential for negative consequences, there are far more effective ways to discipline your children than smacking; two discipline methods that I like are 1-2-3 Magic and The Kazdin Method. Good luck! When do Toddlers Master Climbing Skills?When Can a Toddler Throw and Kick a Ball? 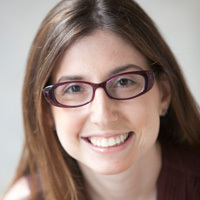 Deena Blanchard, MD, is a pediatrician and partner with Premier Pediatrics, in New York City. She also serves as a pediatric expert for Ella’s Kitchen. Dr. Blanchard completed her Masters of Public Health at Temple University with a focus on health education before attending Medical School at Albert Einstein College of Medicine and completing her residency at the Morgan Stanley Children’s Hospital of Columbia Presbyterian. She was awarded Physician of the Year by Columbia Presbyterian and is also the recipient of Alpha Omega Alpha and The American Women’s Association Glascow Rubin Achievement Award. Dr. Blanchard enjoys sharing her expertise and experience as a pediatrician and a mum with the families she works with, as well as through her contributions to Mumtastic, Big City Mums, and The Stir by Café Mum. She lives in New York City with her husband and three sons.